If the name Jennifer Logue rings a bell, it’s probably because you’ve heard her somewhere before. She’s been breaking ground in the indie scene for quite a few years and that bell is about to ring even brighter with the release of her newest album, The Split Sessions. Recorded on a plantation in Virginia, the album has a vibe that is gritty, organic, and raw, drawing comparisons to Feist, Adele, and PJ Harvey. Logue was inspired to record The Split Sessions while touring Europe to promote The Pretty EP, her first official release, which was polished and pop. Fans on the road were eager for a record that simulated the live experience, which would showcase the natural richness of Logue’s voice and place more emphasis on the songwriting. On her return flight to the states, the young artist drafted a rough sketch of her next release. She wanted to “split” the record between her older songs and new songs penned on the road. However, all the tracks would be produced with real instruments- nothing synthetic, all natural. She launched a Kickstarter Campaign to help cover recording costs and with the help of her fans, successfully funded it. The album is now being distributed digitally through iTunes, Rhapsody, and Amazon, as well as Spotify. Since releasing The Split Sessions, Jennifer has been receiving more buzz than ever before, opening up for Steely Dan’s Jon Herington in NYC and winning a slot to perform alongside Cee- Lo, The Black Keys, Patti Smith, Deadmau5, and many more superstar acts at Virgin Mobile Freefest. Jennifer is a testament to the magic that can be created between artists and their fans, as it was fan voting that earned her the opportunity. “My fans keep me moving forward in more ways than one,” she says. Jennifer followed up these gigs with two sold out shows at CMJ in New York and more recently, a string of performances at the 2012 Sundance Film Festival in Park City, Utah. She was then invited to perform the first annual Madeira Film Festival in Portugal where she shared the stage with world- renowned musicians Kyle Eastwood and Phamie Gow. For all the latest on Jennifer, stay tuned to her Official Website, Facebook, and Twitter. 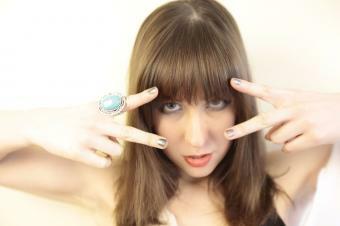 She also has her own blog, Things that Zing, which covers all that is quirky, artsy, and amusing.